Louis CK, comedian, actor, writer, director and editor, is to bring his highly individual brand of stand-up to the UK in August. The DC-born, Mexico-raised comedy powerhouse has not performed in the UK since 2013 and is probably as excited about returning as such a confirmed grump can possibly be. 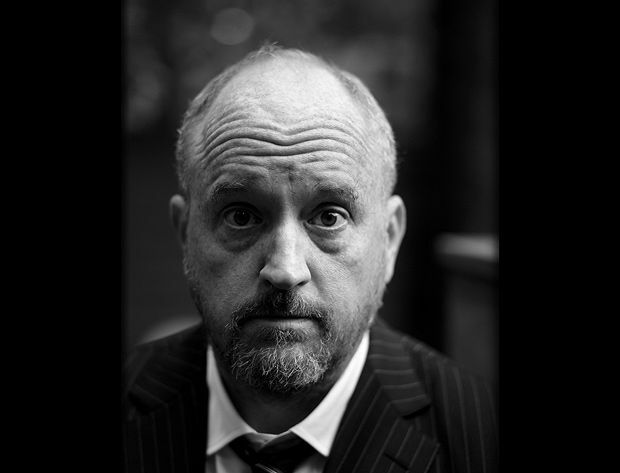 There's respect and there's respectability, and Louis CK has the former but not the latter. He may make jokes about how he's a failure, 'f***ed-up' or 'degenerate', but even the most illiberal commentator can't fault Louis's work ethic, given that he's single-handedly written, directed, starred in and been the main editor for five seasons of FX's Louie, his ridiculously award-heavy, quasi-autobiographical sort-of dramedy. Louie is currently on hiatus, but it could be that its very success has been its own downfall: after the kind of reviews it's had, and the sheer quantity of gongs its creator and team have walked away with, it's no surprise that the man himself has said that he doesn't feel like he keep on writing for its central character, 'the just-divorced kinda under-water dad/struggling New York comic'. Louis CK plays the Edinburgh Playhouse Wed 10 Aug, SSE Arena, Wembley on Fri 12 and Eventim Hammersmith Apolllo Sat 13 and Sun 14 Aug. Tickets on sale now. The comedian, actor, writer, director and editor brings his highly individual brand of stand-up.